Disclosure: I visited Milwaukee on a press trip. Most everything I experienced was complimentary. I wrote only about my favorites here. All opinions are my own. Until recently, when somebody said they were going to Milwaukee for the food I assumed they meant the brats, cheese curds, and the Miller beer that the city is famous for perfecting. However, I spent a few days in Milwaukee with my family taking in the city’s unique sites and delicious restaurants. And I can honestly say I was overwhelmed by the many options for local farm to table food and the delicious menus geared toward foodies. If your family is headed to Wisconsin for a weekend, look no further for your dining itinerary. 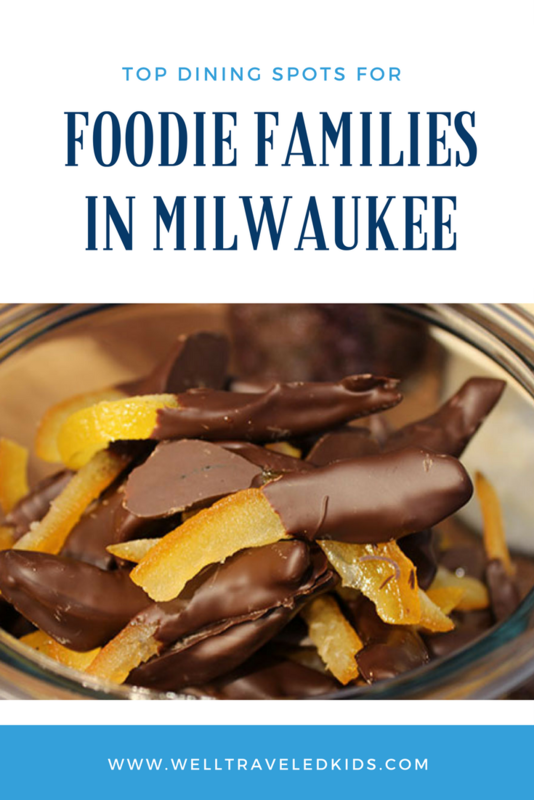 Here are my recommendations for eating your way around Milwaukee! If you’re staying at the luxe boutique Iron Horse Hotel (as I was), you definitely don’t want to miss breakfast at the hotel’s restaurant, The Library. 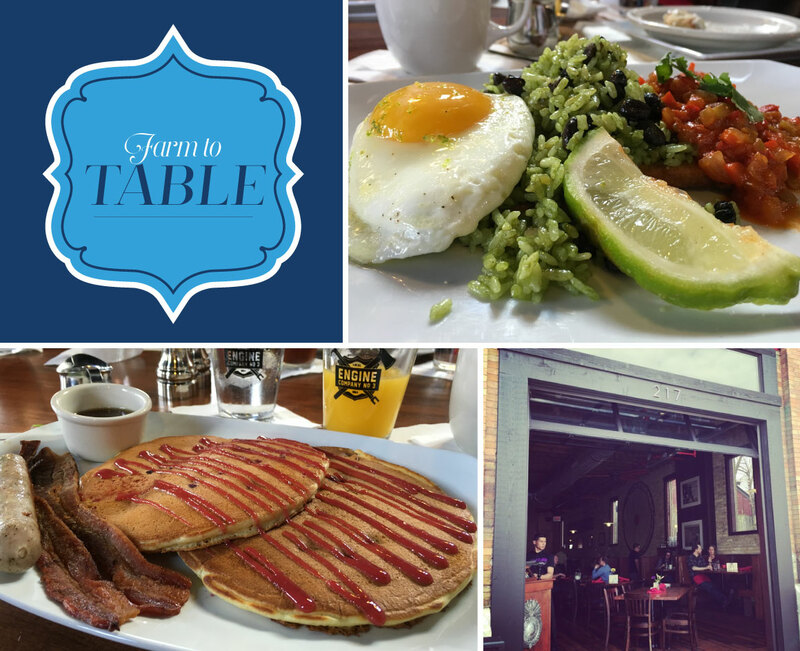 It offers communal tables where you can enjoy locally sourced breakfast. We had asausage, bacon, eggs, and Wisconsin kringles, as well as healthy fresh smoothies (to balance out your options). You could also hop over to Engine Company No. 3, which is located in a historic, restored Milwaukee Fire Station. This hot brunch spot showcases all sorts of Milwaukee Fire Department relics, including photos, hats, ladders, and a big trampoline from the early 1900s. But it’s not all about the décor. Engine Company No. 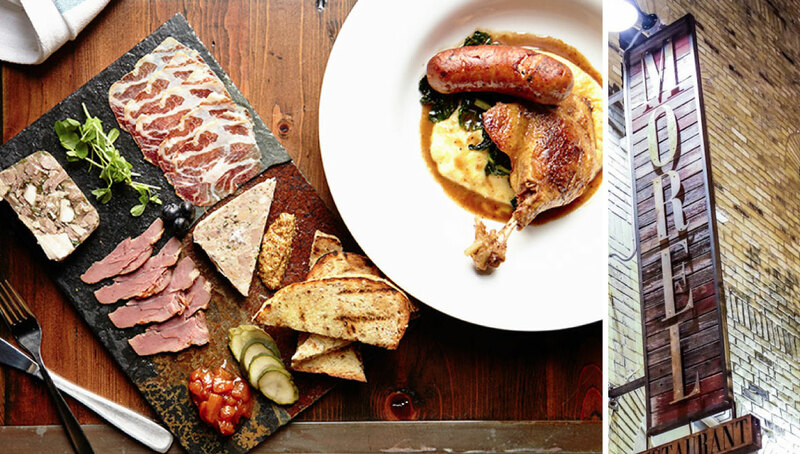 3 takes locally sourced food to the next level. The restaurant has ties with farms in the area and primarily uses local ingredients to create dishes that are traditional and innovative all at the same time. I was especially impressed to learn that the restaurant only receives whole animals from the farms, and then personally crafts them into the bacon, sausage, and steaks you’ll find on the menu. I ordered the blueberry pancakes with their own bacon and sausage, they were some of the best I’ve ever tasted. Don’t forget to order one of their famous Bloody Marys ‐ served with a petite side of Milwaukee’s own Miller High Life Beer! 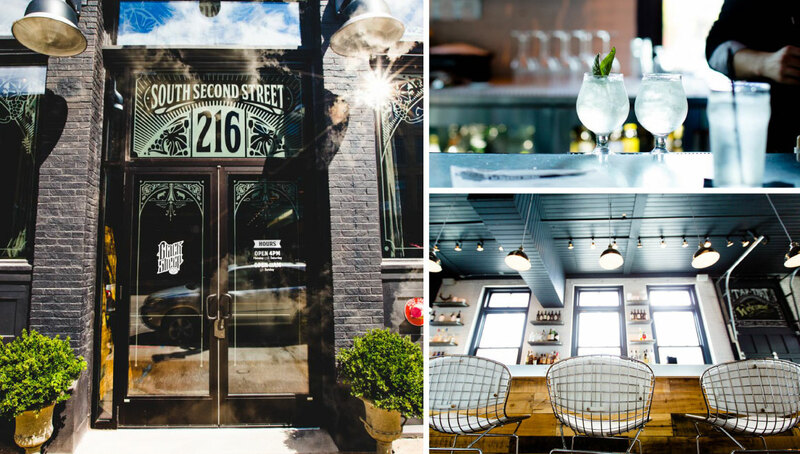 Hang out with the locals and have lunch at the Iron Horse Hotel’s bar and restaurant Branded. 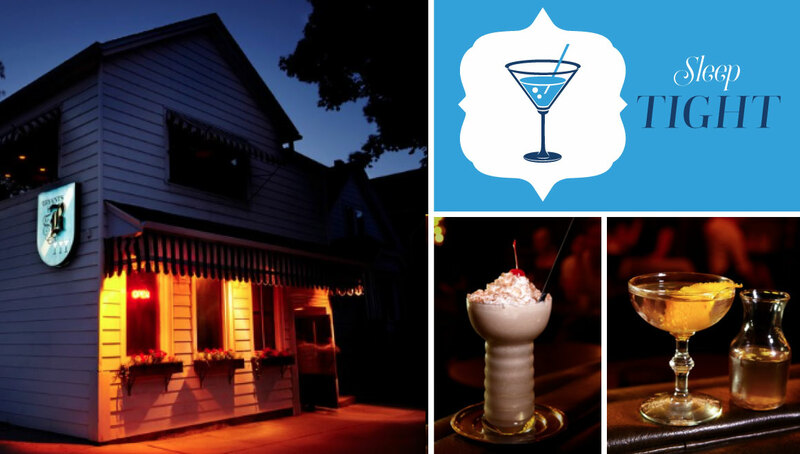 Enjoy light and delicious fried cheese curds, an excellent burger, and local Wisconsin craft beer or a custom crafted cocktail. The whole family will love the superhero art on the walls and the delicious locally sourced bar grub. 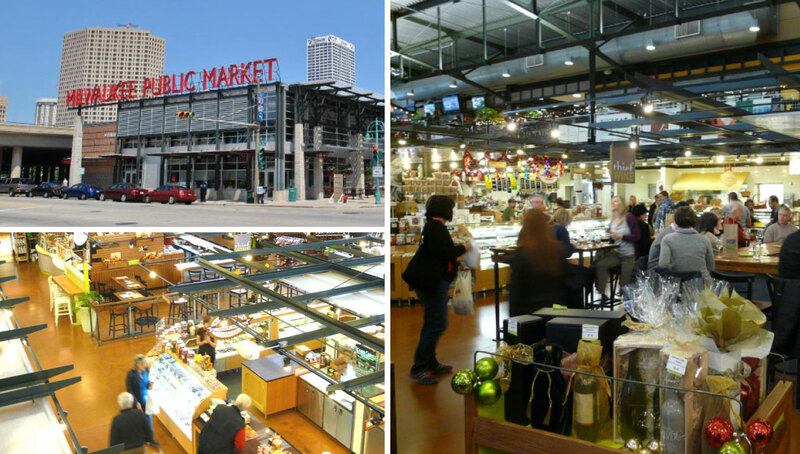 Or, take the family over to explore the Milwaukee Public Market. This sprawling indoor market keeps the focus on Wisconsin products, such as cheeses and chocolates. But it also features foods from farther away, such as sushi, oysters, and lobster, as well as restaurants from the Middle East and Mexico. Stroll along the stalls, and try a little something from each. Take the kids to try pancake batter cheese curds at Black Sheep while you indulge in a local beer. If soft pretzels are more your thing, on a sunny day head over to the patio at Great Lakes Distillery to let the kids enjoy Wisconsin soft pretzels while you relax with great small-batch distilled Wisconsin spirits on patio. The Rehorst Vodka and Gin both make for excellent cocktails. Whiskey lovers will flip for the Wine finished Kinnickinnic Whiskey. I loved the food at Smyth in the Iron Horse Hotel. Executive Chef Bradford Shovlin creates a modern twist on a menu inspired by the way an old school blacksmith would eat in turn of the century Wisconsin. From appetizers like rabbit meatballs to cheese curds made from goat cheese to delicious main dishes like Scottish Salmon and Duroc Pork Chops, and s’mores for dessert Smyth will change the way you think about a traditional Wisconsin dinner. Braise offers delicious dining, and if it’s warm outside your kids will love eating up on the rooftop and exploring the rooftop garden. While you’re there, sign the family up for a cooking class led by Chef David Swanson, a James Beard nominated chef. 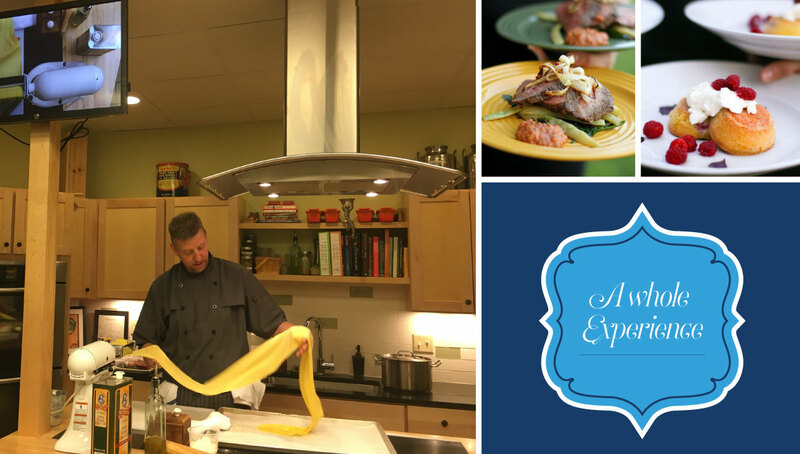 Everyone can learn to make homemade pasta and Puttanesca Sauce, succulent meats, and work on their knife skills. And then there’s Morel, located in the hip Walker’s Point neighborhood. This modern farm‐to‐table restaurant stems from Chef Jonathan Manyo’s Wisconsin roots and features a seasonal menu that every foodie young and old will enjoy. Our favorites included a lamb ragout over ricotta cavetelli, tooth mushrooms, carrots, topped with parmesan and the melt in your mouth beef short ribs with brussels sprouts and bacon. 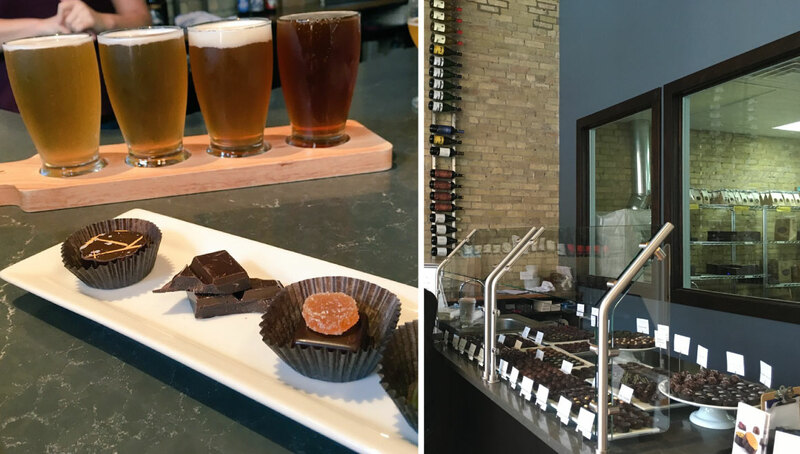 Indulgence Chocolatiers has something for everyone—a flight of wine, beer, or whiskey paired with chocolate tastings for the adults while kids enjoy a flight of cheese and hand‐crafted Milwaukee chocolates. All of the assorted truffles and chocolates were so delicious I had to purchase several to take home with me. My favorites included the Fresh Basil Truffle, Grey Salt Caramel, The Mayan Spice Bar, Sour Cherry Espresso truffle, Almond Praline with Apricot Pate de Fruit, and of course I took home a stack of their Dark Chocolate bars. 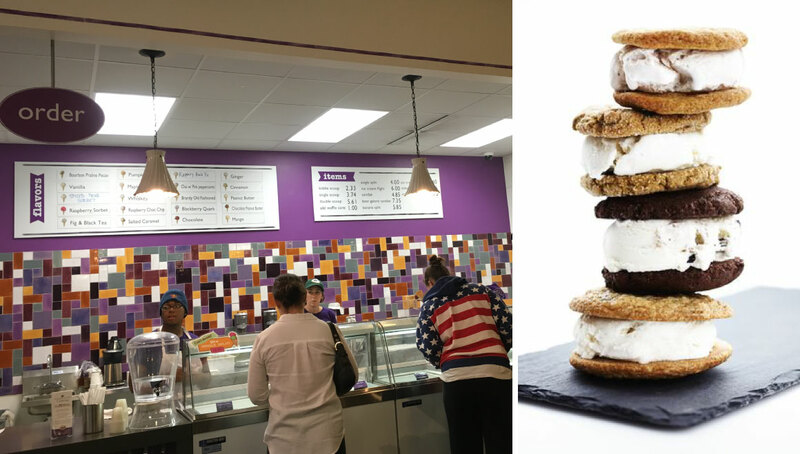 If your family prefers ice cream, take a stroll to Purple Door Ice Cream. Order a flight of four gourmet ice creams, all featuring locally sourced dairy. My favorite flavors were salted caramel, balsamic strawberry, and old fashioned brandy. If you have a night when the in‐laws or a babysitter are tucking the kids into bed, head over to Bryant’s Cocktail Lounge for classic cocktails that will bring you back in time. Open since 1938, Bryant’s is Milwaukee’s oldest cocktail lounge. It’s dark‐lit with plush velvet walls, and the bartenders here specialize in flaming cocktails, ice cream drinks, and tropical drinks.The thing is: There’s no menu. Simply tell the server or bartender the ingredients you prefer, and they’ll craft a cocktail just for you. I had a flaming grape cocktail called Black Magic, and was hypnotized watching the fish swimming in the old school fish tank behind the bar. Planning a trip to Milwaukee? 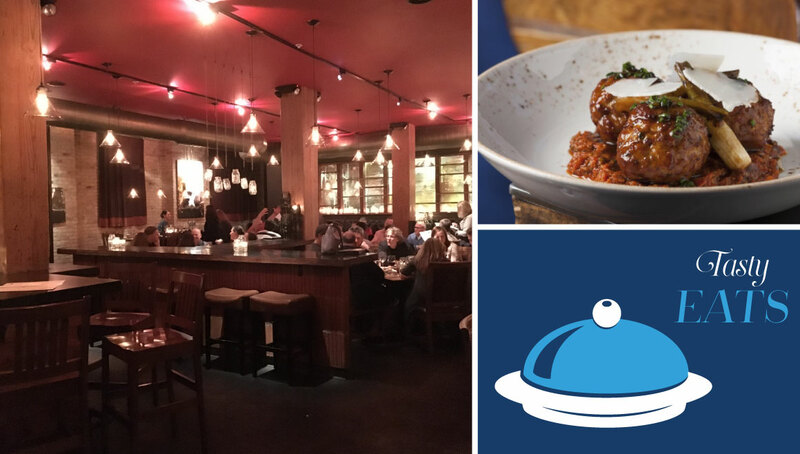 Want to visit these Top Dining Spots for Foodie Families in Milwaukee? Save this pin for later! 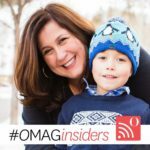 As a Milwaukee resident love the article. However since 3 of your choices are technically the same place Iron Horse Hotel. I makes me wonder if you really explored Milwaukee. In fact the places you visited (other than Bryant’s) are not very far from the Iron Horse. Granted they are great places. Perhaps next time you should venture further than a mile or two from your hotel. Again nice article but. Thanks Marty! You are correct, I was only in Milwaukee a few days and did stay close to my home base at the Iron Horse Hotel. As someone who travels all the time it’s not often that I love all of the hotel food, which is why the Iron Horse restaurants really stood out as special. I agree, my post didn’t list ALL that your beautiful clean water city has to offer but I was so impressed with fresh gourmet options that I experienced at the spots near my hotel I absolutely would recommend them! I do look forward to returning to Milwaukee again soon and experiencing more of the delicious dining spots! Hey thanks for checking out our city! I hope enjoyed your stay! Well now you went and made me all hungry and its nearly midnight and I am pretty far away from Milwaukee- ha!! Seriously, though I had no idea Milwaukee was such a foodie town. Definitely makes me want to visit. I love experiencing great food in a new environment. Thank you for helping me add one more place to my bucketlist! I never dreamed that Milwaukee could look so delicious! I’m stuck in the 1970s with images of Laverne & Shirley. 😉 Obviously very worth a visit in the future. This is great! I’m planning on visiting Milwaukee for WITS17 in April. It all sounds delicious, but when you mentioned fried cheese curds, my mouth started watering for them. I’ve never had as yummy cheese curds as I had in Milwaukee.